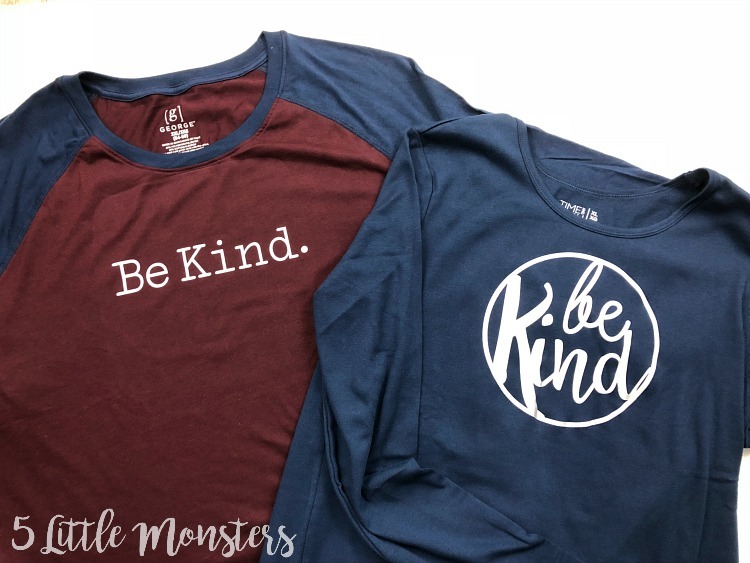 Last week I shared a Be Kind Shirt design and mentioned that I would be sharing one each week for the next several weeks. 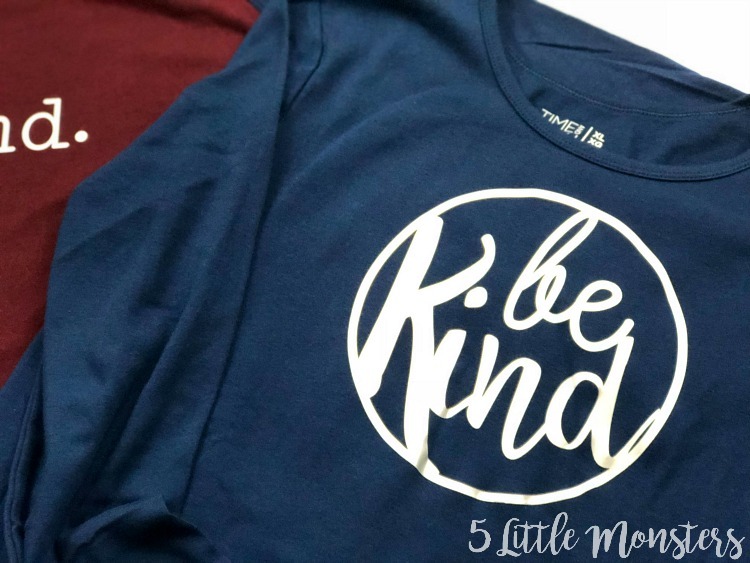 Today I am sharing my second Be Kind shirt, and I think this one might be my favorite. There was a sneak peak in last week's post. 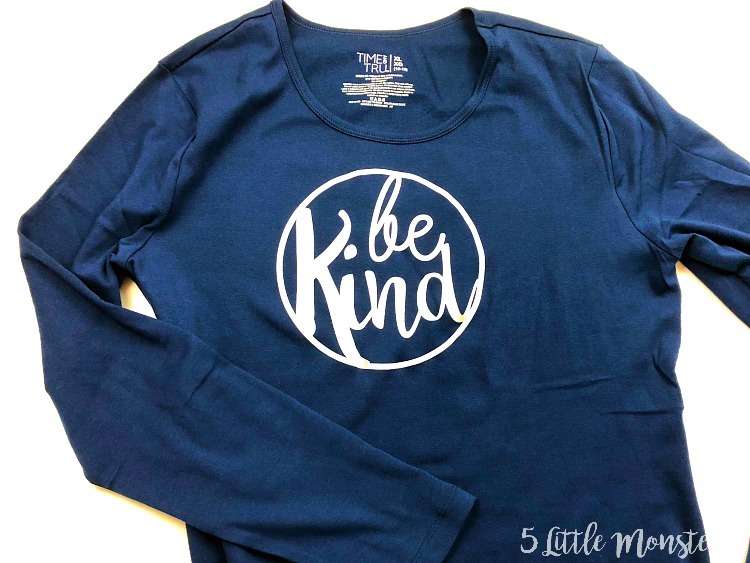 Like the last design this one simply says Be Kind. I used a couple of script fonts and put it in a circle. 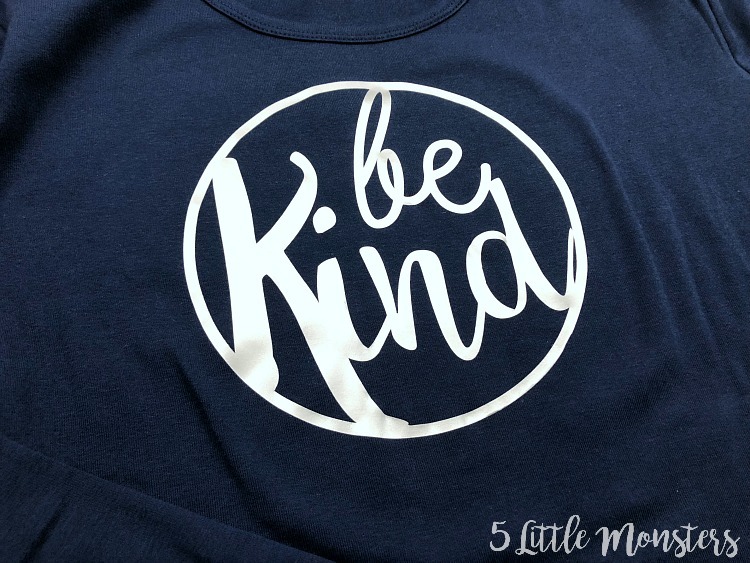 I really like the way this one turned out so I made it into a shirt for me and I wear it all the time. It is one of my favorite shirts. 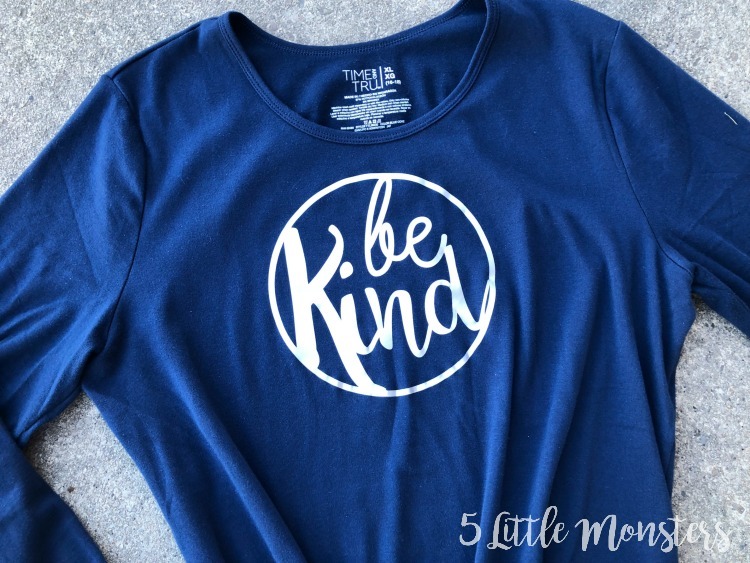 I used silver iron on on a navy blue t-shirt to make my shirt. You could also resize it to fit it on a child size shirt, or whatever else you want to use it on. It would work well on a tote bag, or a notebook, or anything. 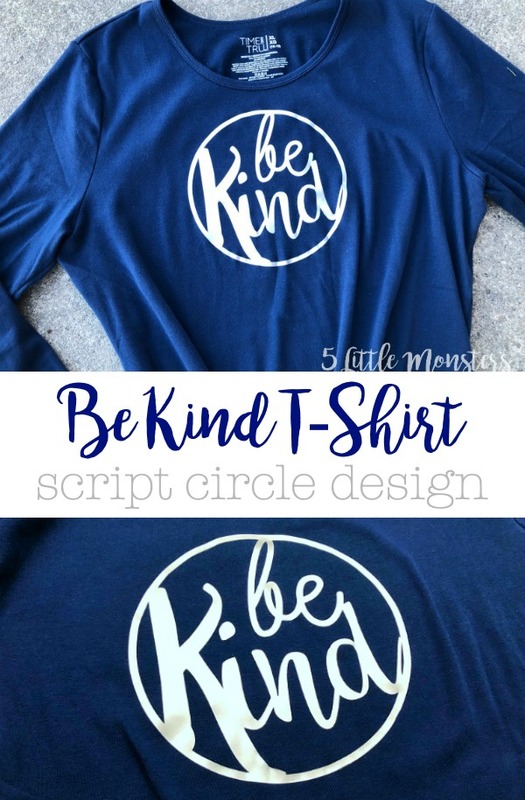 Open the Be Kind Script Circle Design Space File. Resize if needed. Cut from iron on, don't forget to mirror. Weed your design. Press the design onto the shirt following the recommended settings found here.